I’d been working on these for a long time, trying to perfect the conversion process I applied to each image. Only recently did I finally succeed in finding the right balance of scale, composition, color, and distortion for each of the images (I used an earlier version of the Queen Lili’uoukalani image for an installation back in 2013.) 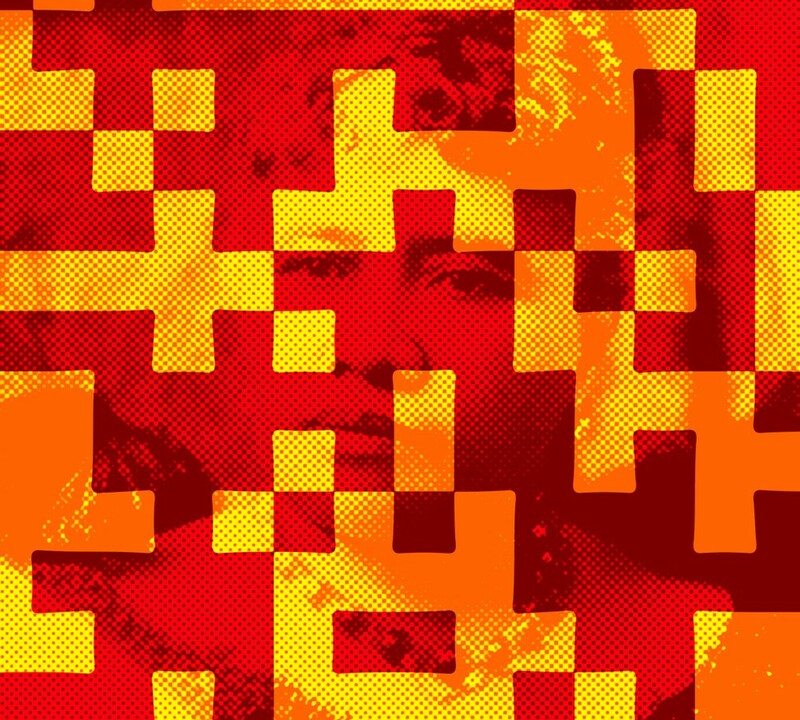 They had to be pixelated enough to appear distorted by a mechanical printing process, but not so much that you couldn’t easily recognize the iconic figureheads. 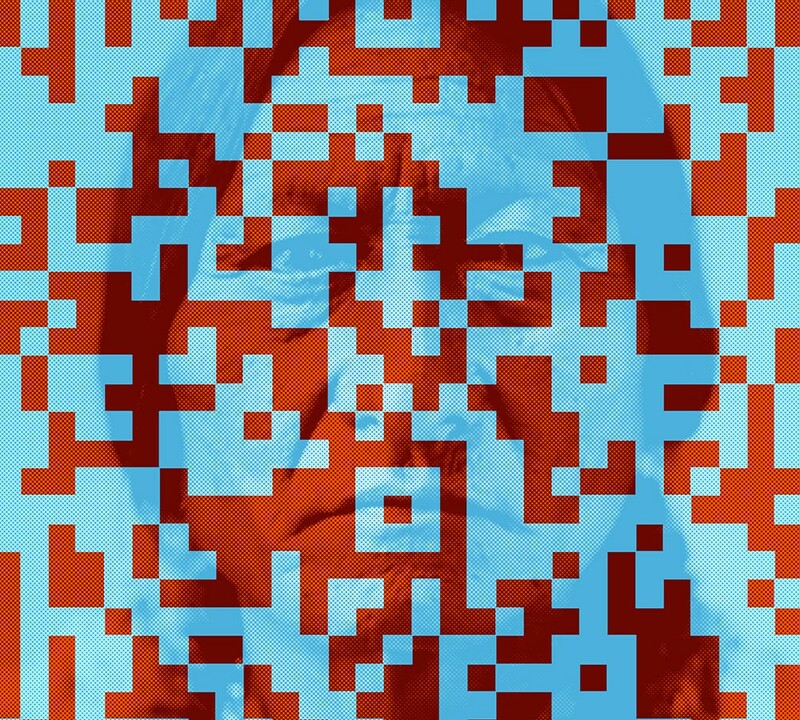 Either the QR code wouldn’t scan or the photographs lost their impact. Ultimately, each image found a place that worked best. These are both intended to be printed 4’x4′ or larger. They look good as small as 15″x15″, but they are most effective at the larger sizes. For me, they pop off the wall with a modern hipness, but when I sit with them for any amount of time, they have a beautiful haunting quality to them. Two iconic figureheads of two great nations, struggling to be recognized through the noise of the industrial age. The earth has received the embrace of the sun and we shall see the results of that love. He put in your heart certain wishes and plans; in my heart, he put different desires. The people to whom your fathers told of the living God, and taught to call ‘Father,’ and whom the sons now seek to despoil and destroy, are crying aloud to Him in their time of trouble; and He will keep His promise, and will listen to the choices of His Hawaiian children lamenting for their homes. © Copyright Richard Earl Leong Yu Ralya 2019. All rights reserved.